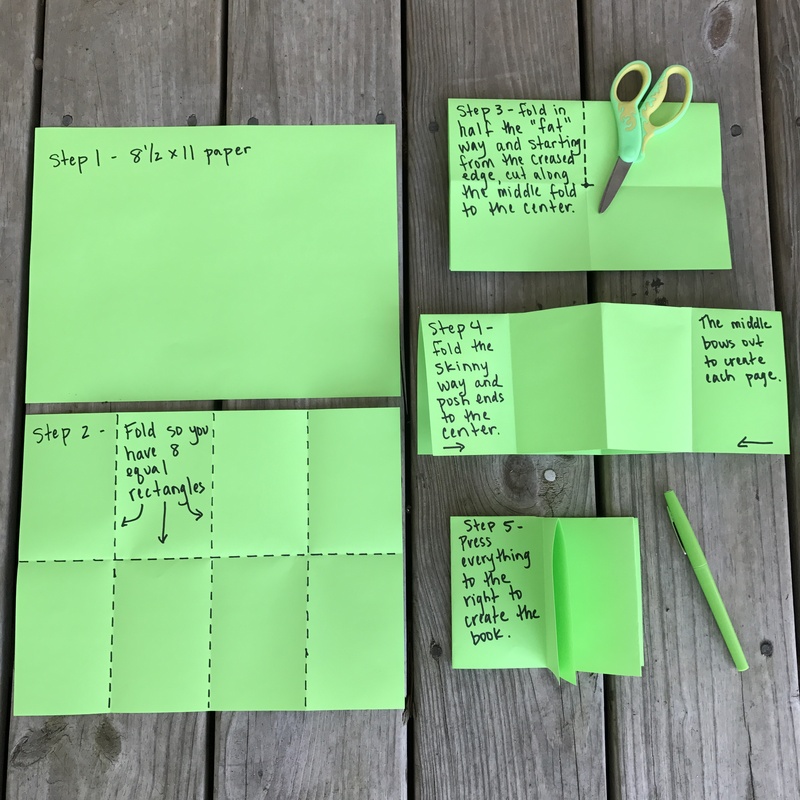 Kids love to self-publish and there are so many fun ways to make booklets with materials you already have in your classroom or at home. 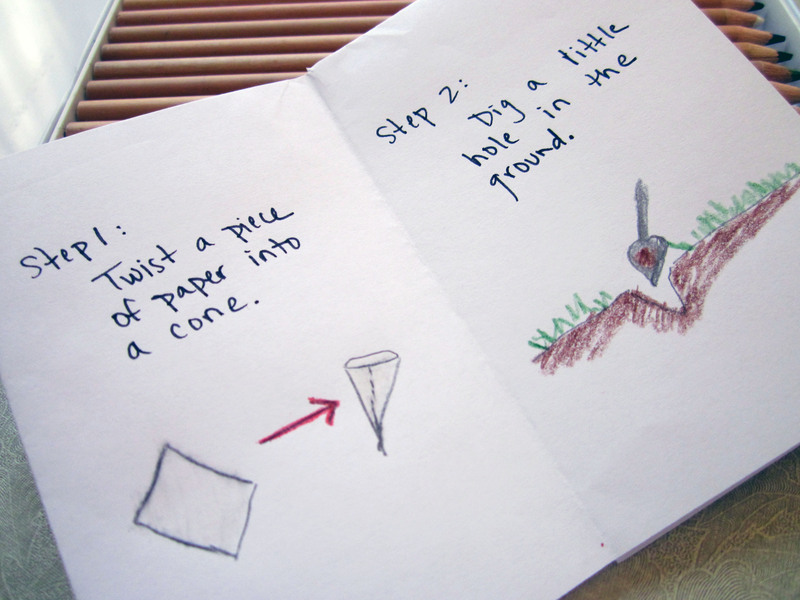 One easy booklet I like to make with students uses one piece of copy paper and scissors. I call it a Tiny Book. After it is finished, the book will have six interior pages. There are many ways students can fill the Tiny Books. I have students use these little books to practice procedural writing and make “How To” instructional manuals. When we read Danny, the Champion of the World by Roald Dahl, the students create a step-by-step guide for one of the poaching methods. 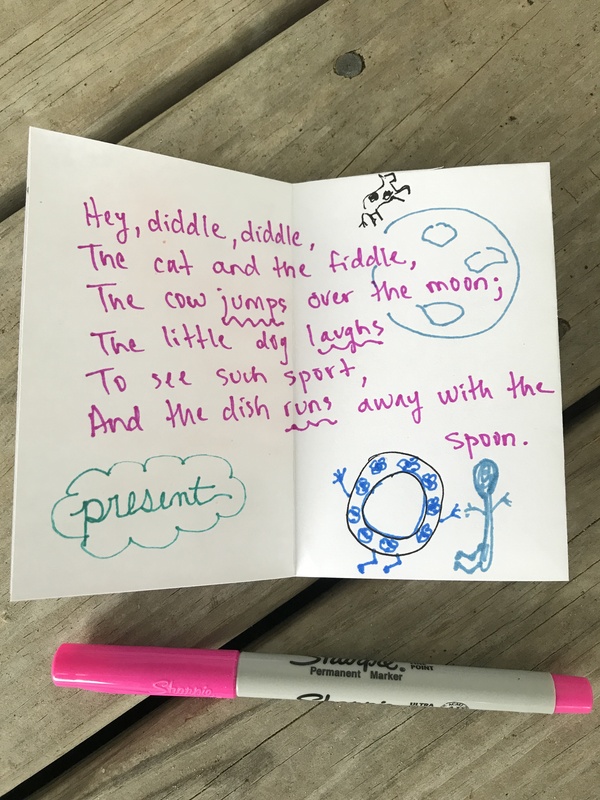 While practicing Helping Verbs and Verb Tenses, the students re-write and illustrate nursery rhymes in past, present, and future tense using a Tiny Book. When we study colonial life, students research a specific role in the settlement and describe the colonist’s life in a tiny book. They write about clothing, food, housing, and jobs for a specific person and add illustrations with captions. It does not take too much time to complete and reinforces non-fiction text features. 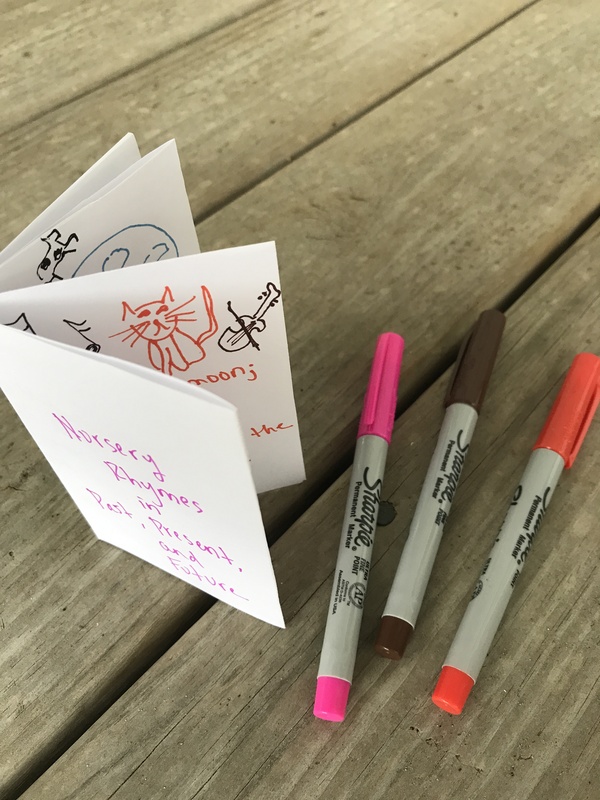 For back to school, you could have students create a Tiny Book that shares facts about the student as a way to introduce each other to the group. Students could create a Tiny Book promoting any favorite summer reading they completed. I love the books because they do not involve a lot of prep and can be used for many different lessons… and they are mini, and I am a sucker for anything mini. Step 1: Gather your paper and scissors. Step 2: Fold one piece of paper in half the hamburger way. Repeat two more times. Unfold the paper and make sure you have 8 rectangles on the paper. Step 3: Fold the paper the hamburger way again, one time. Your paper will be 5 1/2″ x 8 1/2″ with 4 rectangles showing. 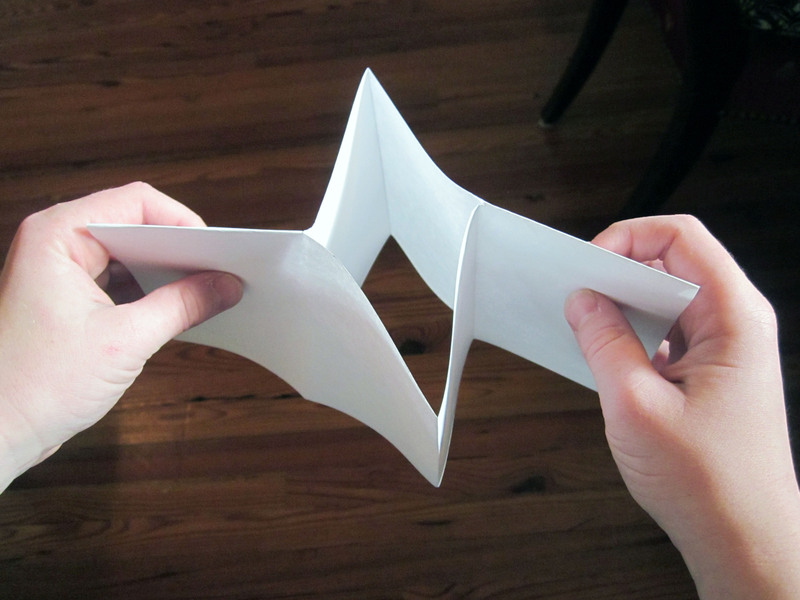 From the folded edge of the paper, cut down the middle along the fold line to the center of the paper. 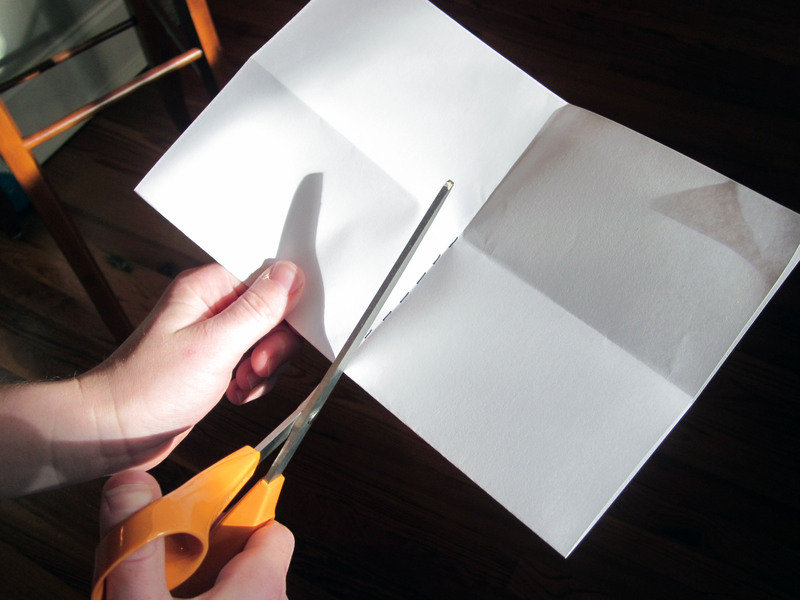 Step 4: Open the paper flat. Fold it one time the hot dog way. Hold each side with one hand and push towards the center until your fingers meet. The center of the paper will push out creating 4 flaps. Step 5: Press down, so pages line up into the booklet shape. The finished booklet is 6 pages.